The Real Estate Portfolio Introductory Session for my friend, Tony Calloway’s Primerica group appears to have gone well. 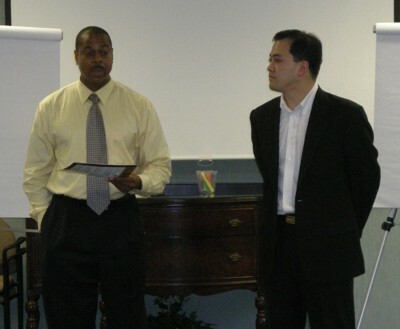 Tony, Wes, and I jointly hosted and presented to the group in a lively, interactive, and fast-paced session. Many times, I could not tell the how the audience responded. They were very quiet and their facial expressions a bit neutral. It appeared they were concentrating and thinking but I simply could not tell if they like what they were hearing. Tony gave me some feedback afterwards. To my relief, Tony said the group seemed to enjoy the session. Now that we have completed it, it is uncertain what happens now. I believe some of them will attend an Investors Roundtable meeting to see what we do. But for now, I will let Tony ponder on what will happen to this experimental group.